Redtwist’s intimate, affecting production finds new cracks in Tennessee Williams’s fragile creatures. You may think you’ve paid enough visits to the Wingfields’ St. Louis tenement and its fragile occupants—those made of glass as well as the flesh-and-blood. 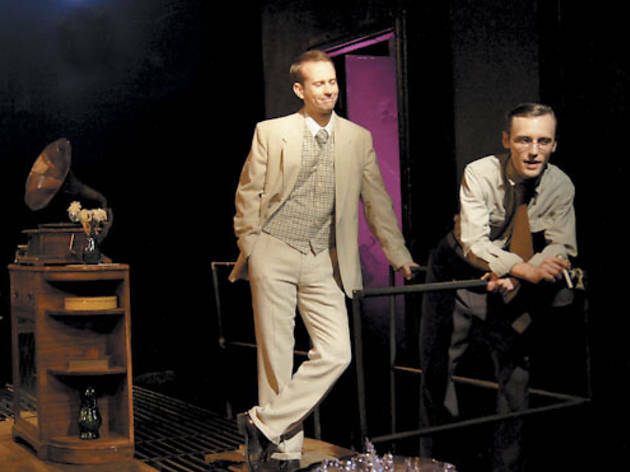 But set aside your gauzy memories of Tennessee Williams’s career-making memory play. Redtwist’s intimate, imperative Glass Menagerie, one of the most affecting I’ve seen, finds new crevices of raw emotion in the familiar work. Director Josh Altman emphasizes the play’s dreamlike quality without resorting to the diaphanous preciousness that can befall it. 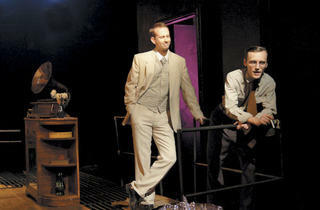 Ryan Heindl’s wiry, electric Tom steps in and out of the present action—his painfully remembered past—with the quick-cut logic of reminiscence, helped by Christopher Kriz’s evocative sound design and Heather Gilbert’s stunningly transformative lighting, which almost imperceptibly grows warmer in Tom’s more heated memories. Jacqueline Grandt’s Amanda is a believable faded belle, grounded in the disappointments of her own life but resolute in her determination to secure “success and happiness for my precious children!” Sarah Mayhan seems at first too subdued as shy, mildly crippled Laura, but in her extended scene with gentleman-caller Jim (Chris Daley, smartly shifting from surface charm to genuine emotion) she blossoms into a full glow that makes her subsequent devastation all the more heartbreaking. Henry Behel’s open scenic design makes clever use of depth of field, with the portrait of Tom and Laura’s absent father looming, like everything in Tom’s memory, several times larger than life.